After more than a year of debate, the Food and Drug Administration yesterday required packaging for all antidepressants to contain a severe warning that links the drugs to suicidal thought and behavior in youngsters. The decision to include a so-called black-box warning does not extend to adults, but the agency's move is likely to change the way medicines such as Zoloft, Effexor and Paxil, among others, are promoted and prescribed. "The use of these products causes a statistically significant increase" in risk for children and adolescents, said FDA acting commissioner Lester Crawford, who urged doctors to use more caution in prescribing the drugs and to more closely monitor their patients. The agency cited an analysis of 24 trials involving 4,400 patients who were given antidepressants. The risk of suicidal thoughts or behavior was twice as likely than among those who were given a placebo, or dummy pill. The warnings will carry explicit language that the drugs increase the risk of suicidal thoughts and behavior, which must be balanced against patient needs. The wording will be surrounded by a black box. Patient guides will also be distributed. The FDA action reverses a long-standing position that antidepressants are safe and effective. Many doctors and families also argue the drugs are needed tools for saving lives. Yesterday, the American Psychiatric Association issued a statement expressing "deep concern" that the warning will have a "chilling effect on appropriate prescribing for patients and put seriously ill patients at grave risk." But the move to require a black box, which is the most severe type of warning that can be placed on product labeling, was greeted enthusiastically yesterday by some parents who say their children were harmed by the drugs. "I'm elated. Children's lives will be saved," said Lisa Van Syckel of Raritan Township, who began lobbying Congress for greater regulation of the pharmaceutical industry after her daughter attempted suicide while taking Paxil. "But I'm also bitter, and my fight is not over," she continued. "The FDA had the responsibility to protect my daughter, and they didn't do it. " The FDA remains under a cloud for its handling of antidepressants. Congressional investigators are looking at whether the agency deliberately minimized safety risks and muzzled one of its own reviewers, who wanted to restrict usage earlier. The episode has raised larger questions about the agency's ability to act as an advocate for public health. Recently, congressional investigators also began a probe into the agency's review of Merck's Vioxx painkiller, which was recalled last month over safety concerns. Drug makers, such as Eli Lilly, which makes Prozac, and GlaxoSmithKline, which sells Paxil, endorsed the FDA move. Glaxo settled a lawsuit filed by the New York attorney general over failing to disclose clinical trial data showing Paxil increased suicidal behavior. But one psychiatrist yesterday said the FDA didn't go far enough and should have followed the lead of British regulators, who last year urged doctors not to prescribe antidepressants to youngsters. "Surely, the FDA and the pharmaceutical industry know that even a black-box warning will not adequately curtail prescribing" medicines for unapproved uses, said Joseph Glenmullen, a Harvard Medical School psychiatrist. Only Prozac is approved for anyone under 18. However, doctors are free to prescribe any medicine to a patient, a practice known as off-label prescribing. This explains why all the antidepressants were widely prescribed to youngsters. With new warnings expected to appear within six weeks, many doctors are expected to change their prescribing habits, and drug makers are likely to alter their promotional practices, according to one industry expert. "I think this will slow the rate at which these drugs are prescribed," said Andrea McDonough, a health care specialist at NOP World, a Princeton-based market research firm. "It will also be harder for the companies to run as many TV ads." In a media briefing yesterday, FDA officials said their interest in antidepressant safety will not end with the warning. They plan to investigate, for instance, whether the drugs cause suicidal thoughts and behavior in adults as well. © 2004 The Star-Ledger. Used by NJ.com with permission. 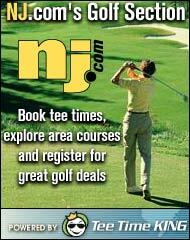 » Shop, Click, & Save with The Star-Ledger Money Book!